What have we learned from all these experiments? As we have seen, the results have been mixed. The unreeling of tethers in space has proven to be rather tricky and to require well-designed and tested deployment mechanisms; all deployments using passive reels have been successful, but there has been lots of trouble with powered reel systems. 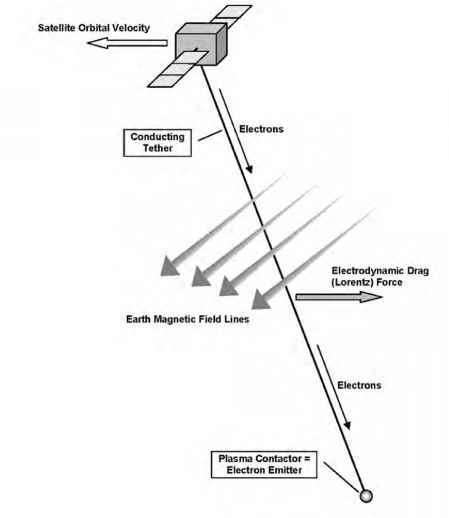 Even if successfully deployed, tethers can get cut by orbiting debris and meteoroids, or burned through by electric arcs. Tether deployment is very hard to test on Earth, because we cannot simulate microgravity for sufficient lengths of time on the ground. Drop towers, in which experiments can free-fall and thus experience microgravity, offer only seconds of test time and cannot accommodate meters or kilometers of deployed tether. Most of the bridge leading from theoretical models to reality thus has to be crossed in space itself, where harsh conditions and the inaccessibility of the hardware after launch generally give experiments one shot only. When it does not work, it is back to the drawing board with, one hopes, some experimental data to improve the computer simulations and the design for the next try. With luck and perseverance, there may then be another chance to fly an experimental system several years later. Space tether technology is therefore a trial-by-error field. The fact that many tether missions have been performed with relatively low budgets and as payloads of secondary importance has not helped either. Slowly, with more missions resulting in more experimental data and understanding, it is hoped we will be able to use space tethers as an operational technology in the near future, because, although the going is rough, the potential rewards are high, as we will see in the following chapters.